Putting U in the brand. University of Pennsylvania. 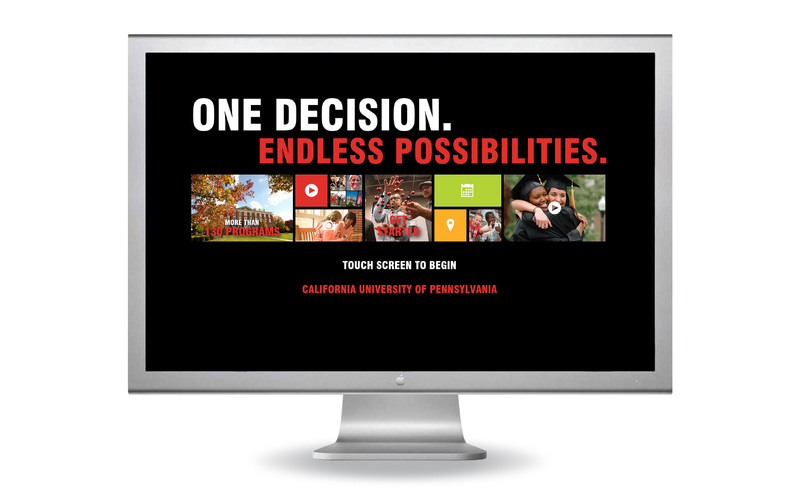 As universities across the country expanded their footprints nationally and globally with branch campuses, California University of Pennsylvania became mistakenly noted as one. Branch campuses are known as secondary or even tertiary choices for those students who were not accepted into the main campus. This confusion not only degraded the school’s reputation and school spirit but had a significant impact on enrollment and transfer rates. The University not only needed to redefine its brand but needed to redefine it in regards to the mindset of today’s student in a highly competitive market. After researching and focus-grouping high school, transfer and college students and interviewing audiences inside and outside the school, Elias/Savion made the school relevant again. 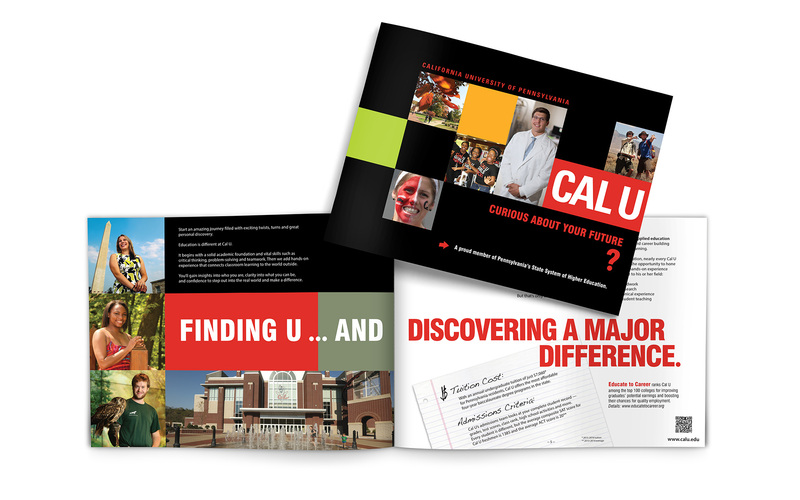 California University of Pennsylvania became CAL U. In bold letters and screaming red. The new design injected the student into the brand. The perfect fit for the student who wanted a more personal experience in the large university world. Everything shifted into high gear. On-campus buy-in was generated through banners, signage, and branded attire, athletic uniforms and school busses. Beyond campus, recruitment materials, advertising and digital played big. And even on-ice during Pittsburgh Penguins games, the brand became even larger through NHL sponsorship. A new focus was placed on CAL U. A refreshed brand with a younger, bolder, personal attitude that could go anywhere – to class, to the game, to a high school, or into a parent’s mailbox with great results.